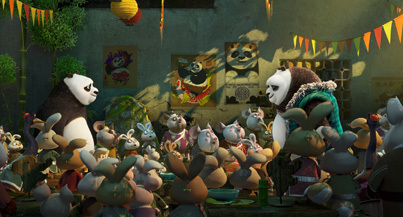 Kim Hollis: Kung Fu Panda 3, the latest in the animated series from DreamWorks Animation, earned $41.3 million in North America and $75.7 million overseas, including $58.3 million from China alone. What do you think of this result? Jason Barney: My initial reaction was negative. When I did my first bit of research I thought the budget numbers were a little high for an opening well below $50 million. The overall budget here is in that $145 range, which isn't crazy expensive, but I think I was swayed by the constant lower totals with each new film. They keep getting smaller... err... at least in the United States, that is. Digging a little deeper, we learn that this is the exact type of film the creators have pushed for an international release. While the American market is going to be prime here, the overseas dollars continue to be a larger and larger part of the equation. So I'd say my perspective has changed a good deal. While $41 million isn't hot for a film with this cost in the US, those dollars are only one piece of a much larger puzzle. Taking into account everything involved, DreamWorks has done what they needed to do - have a solid opening in North America and watch the money come in from the rest of the world.